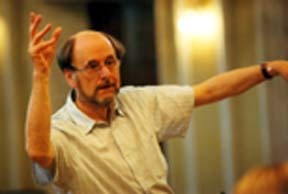 Roger Norrington has been one of the quintessential British conductors who has been involved in the re-creation of music using period instruments, that is instruments that approximate what was used several centuries ago. Perhaps the most ground-breaking work of the 19th century was Symphonie fantastique by Hector Berlioz, which was premiered in 1830 in Paris. To give a performance that he recorded over 10 years ago, he had to go out and find instruments that had disappeared long ago, such as the ophicleide. In this brief interview he recorded some years ago in Los Angeles, he talks about the problems he faced to bring the orchestra of the time of Berlioz back to life.